Every great composer has them—hidden gems. Underrated, under-appreciated—and often unknown musical treasures. Usually these are subtle soundtracks, restrained sentimental works of wonder created to bring an audience into the emotional pitch of a quiet film that may be light on action and plot, but rich with heart. John Williams has “Stepmom” (1999) and “Stanley & Iris” (1989). Howard Shore has “Mrs. Doubtfire” (1993) and “Nobody’s Fool” (1994). Hans Zimmer has the superb “Regarding Henry” (1991). James Horner is the most prolific composer of this type of score—and one of the best. He has a supreme gift for color. When he is on his game, creating the right thematic material for the matching film, the synergistic combination can be magic. Horner’s score for “To Gillian of Her 37th Birthday” (1996) is such a combination. It is subtle. It is restrained. It is a score where you can feel the emotional pitch of every note. “To Gillian on Her 37th Birthday” is the story of about a family who has recently lost the mother/wife played by Michelle Pfeiffer. 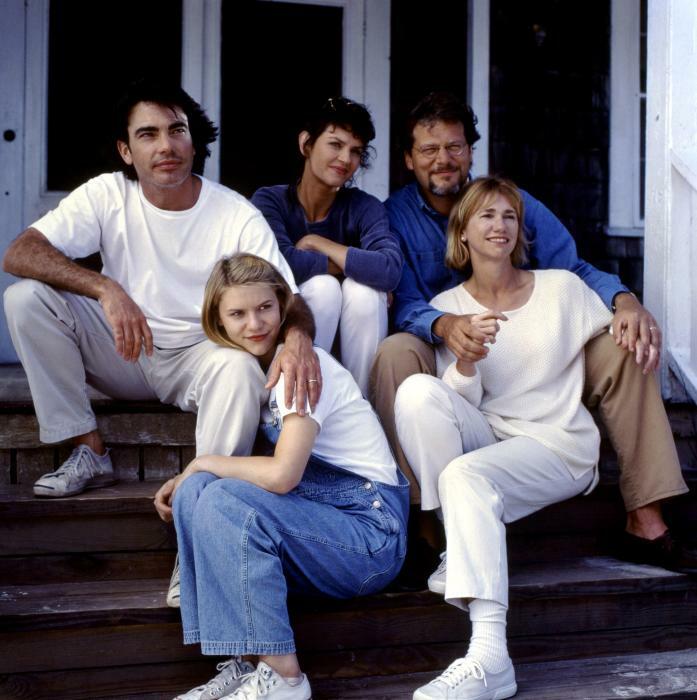 Her husband—the always outstanding Peter Gallagher—is still seeing her, even engaging in daily conversations and walks on the beach with his deceased wife. 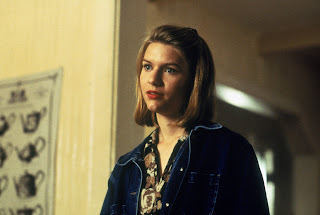 “To Gillian” also features a knockout performance by a young Claire Danes. Kathy Baker, Bruce Altman, Freddie Prinze Jr. and Seth Green round out a solid supporting cast. Critics attacked “To Gillian” with vitriol at the time of its release, dismissing it as a sentimental weepie. It is astounding how some people react so violently to anything with an inherent sweetness to it. There is a “Ghost” aspect to this underrated film; but it is a far more intimate drama and scaled back production. 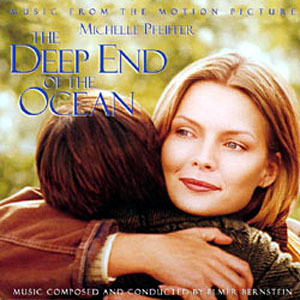 There are a lot of similarities to this movie and another underrated Michelle Pfeiffer film savaged by critics of the time, “Deep End of the Ocean” (1999). That film also has an underrated gem of a score, composed by the legendary Elmer Bernstein. 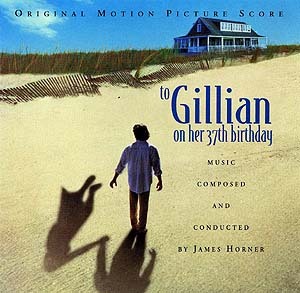 Horner opens up the soundtrack album of “To Gillian” with “A Faraway Time/Main Title”, a carefully orchestrated introduction to the main theme. It is a gentle theme—fluid in construction with graceful vertical and linear movement. This is an emotionally accessible score that taps a direct link into the heart of the listener allowing us to let go and feel what the music wants us to feel. As is the case in other Horner sentimental gems such as “Bobby Jones: Stroke of Genius” and “Iris”, we are given permission to let our emotions breathe and experience the beauty of the music. “The Boating Accident” uses phrasing from the main theme to take us back in time until unleashing a brief series of dissonant chords and notes to represent the tragedy that haunts the family and left them dysfunctional. “Gillian” is a tender, subtle statement of the main theme featuring a stripped down orchestra and an exquisite, gentle piano solo that makes the most of every note. “The Lighthouse” is a gorgeous, haunting, ethereal cue in the atmospheric, new age mode Horner would later perfect in 2004’s “House of Sand and Fog”. The quiet, somber mood continues in “Fond Hopes…Distant Memories” before Horner shifts gears a bit and takes us deeper into the emotional journey of the soundtrack and introduces us to the heartbreaking “Goodbye” theme that anchors “The Decision to Leave Home” and “Saying Goodbye/End Title”. “To Gillian on Her 37th Birthday” is a subtle, quiet, emotionally rich score with moments of profound depth and feeling. This is Horner at his sentimental best and a must own soundtrack for fans of the composer or anyone who appreciates music that will make you feel.